Readers of the prestigious German magazine, Motorrad, one of the highest selling magazines in Europe, have awarded Ducati “Best Motorcycle of 2012” in three different categories. Over 39,000 readers voted in Motorrad’s 14th edition of “Motorcycle of the Year”, an increase of 11,000 over 2011 and further indication of the international interest generated by Ducati, the famous motorcycle brand, based in the Borgo Panigale region of Bologna, Italy. 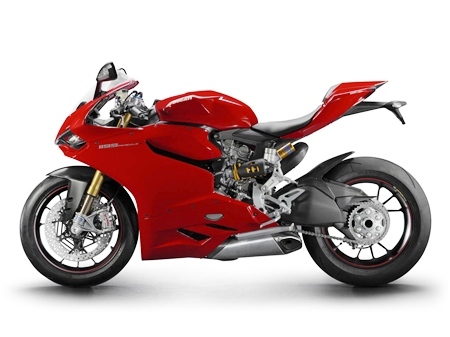 Ducati was the most successful manufacturer at the award ceremony, winning three of the eight main categories, with the brand new and revolutionary Ducati 1199 Panigale stealing the coveted prize for “Best Sport Motorcycle” with 41.2 percent of the vote, 20 percent more than runner-up, BMW for its S1000RR. The voting of Motorrad’s readers not only revealed Ducati to be the “Best Sport Motorcycle Manufacturer 2012” with 77 percent of the vote just ahead of Aprilia and MV Agusta, but also recognised Ducati as “best in style and design” under the title of “Good Look 2012”. These recognitions combined to establish Ducati as “Preferred Manufacturer 2012”, with 52 percent of the voting ahead of BMW and Triumph. That growth in Germany can also be seen here in Pattaya, with the new Ducati showroom on Third Road. The two wheel brigade will be able to spend many an enjoyable moment looking over the new models on offer.